I had to make a Chinatown run the other day to stock up on Asian ingredients for my pantry – soy sauce, rice wine vinegar, mirin, chili oil, rice noodles, etc. Coming out of my favorite Vietnamese market the streets were lined with fruit vendors – tiny ladies loud and smiling over piles of exotic fruit. I dug down in my pockets to count my remaining dollars and started ordering – rambutan, lychees, mangosteen – these I knew and loved. But there were also Chinese wax apples and jackfruit, neither of which I had ever tasted. The wax apple you see here – shaped a bit like a pear – it tasted a bit like an unripe pear, too – just a bit sweeter. 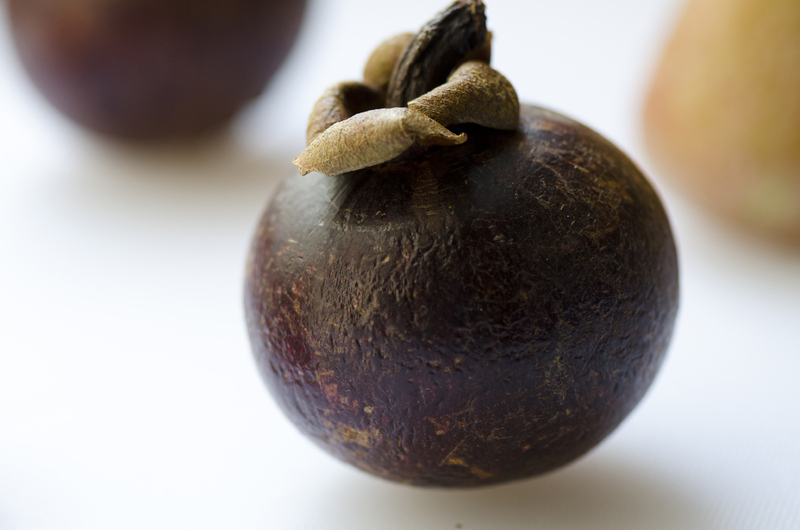 Mangosteen and rambutan are old favorites – both of which I first tasted in, of all places, Paris at L’Ami Louis. I love them both. 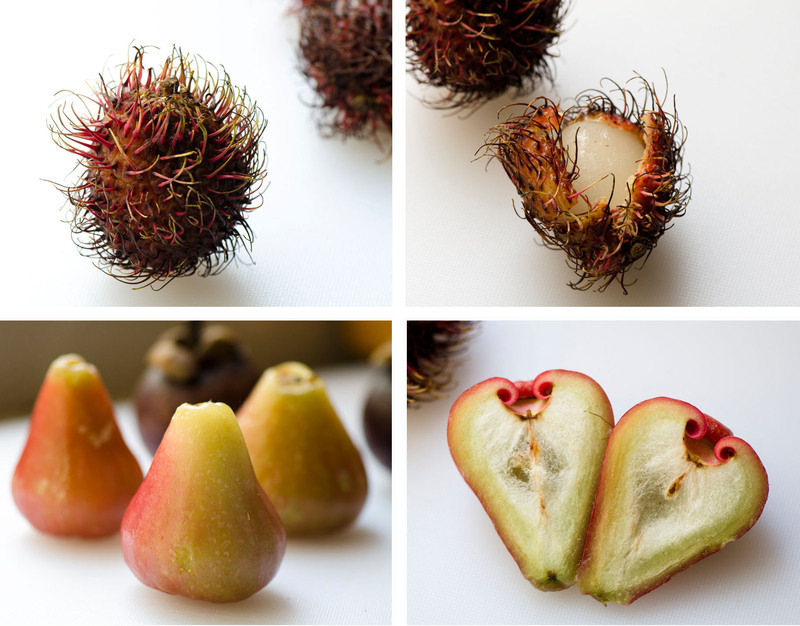 The white flesh of the mangosteen tastes a bit like a really ripe mango mixed with pineapple and the rambutan is quite close to the lychee in texture and taste. The jackfruit didn’t make it to the camera – I tasted, but it didn’t hit the spot – fibrous, sticky, not too appealing visually or texturally but it had a rather pleasant pineappley taste.